Here’s something genuinely different from TomDispatch.com. 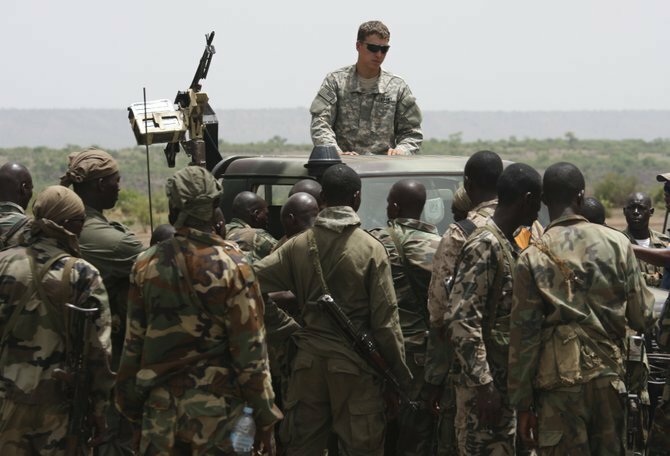 In response to Nick Turse’s July 12 piece, “Obama’s Scramble for Africa,” Colonel Tom Davis, the director of the U.S. Africa Command Office of Public Affairs, wrote in disputing a number of Turse’s points. Though TomDispatch does not normally post letters to the editor or have a comments section, this seemed interesting enough to make an exception. The debate is now up at the site. The article makes for important reading as we learn of a growing US military presence throughout Africa (Admitted: Uganda, South Sudan, Mali, Central African Republic, Democratic Republic of the Congo, Botswana, Kenya, Burundi, Ethiopia and Djibouti, currently some 5,000 personnel), complete with complex special ops, US troops on the ground engaged in “training” and occasional combat, along with the sad, usual accidents involving prostitutes and naughty boys that follow our military worldwide, most recently in Mali. The back-and-forth between the Army and TomDispatch lays bare their two worldviews – Washington’s urge to garrison and control the planet militarily and a critical response that calls for a major downsizing of the U.S. mission in the world. There is a lot of information in this article on a topic covered lightly if at all by most other media sources. Bonus: While the Army took the time to read, respond and intelligently challenge TomDispatch, the web site remains blocked and unavailable to State Department employees still, due to some mysterious “Wikileaks” connection never made clear. State Department employees cannot follow this important debate, by senior management decision. Sorry, enjoy your irrelevance. Breaking: State Department people who do wish to read the article can do so on a mirror site, Salon. Bonus Bonus: While the primary US engagement in Africa continues to morph into a military one, China’s dominant relationships on the continent are economic. Thank you for bringing this dialog to our attention.